Sum modern arrangement of the atmosphere that made it a very cool. 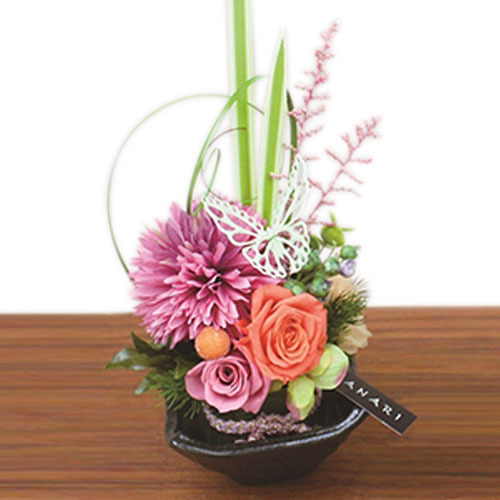 It is made of preserved flowers and artificial flowers specially processed from fresh flowers, so it can be enjoyed for several years without care. Delivered in a clear case.